Networking. Does the mere word make you either cringe or begin seeking out emergency escape routes? Believe it or not, some folks out there love a good opportunity to network. Love it or loathe it, you cannot deny it comes in handy once you need something such as a job, a client or a $100 million Series A funding round. Prolific networkers are more likely to experience entrepreneurial success, according to new research released by The Economist Intelligence Unit. The study finds that informal professional networks and communities are more important for entrepreneurial success than formal structures such as incubators and accelerators. The research is based on a survey of 1,000 entrepreneurs across ten cities with reputations as innovation hubs. In today’s connected world your network is as valuable as your skill set. This is especially true for entrepreneurs. You should be spending conscious and focused time building a diverse network, much like you spend time learning about your craft and skills. As an entrepreneur, a diverse network is invaluable at opening doors to new opportunities, and helping you solve problems you may not have experienced firsthand. Informal networks vital source of support to 78% of start-ups. Over half of entrepreneurs belong to business-networking groups on global platforms such as Facebook and LinkedIn. Entrepreneurs in Tel Aviv, New York and London view informal gatherings of start-ups as the most important source of support. Governments should provide indirect support to help informal communities grow organically. Today, entrepreneurs are avid digital networkers. Over half of the survey group (58%) take part in business-oriented social networking groups on global platforms such as Facebook or LinkedIn. Entrepreneurs in Ho Chi Minh City are the most prolific, with 39% taking part in more than ten groups. 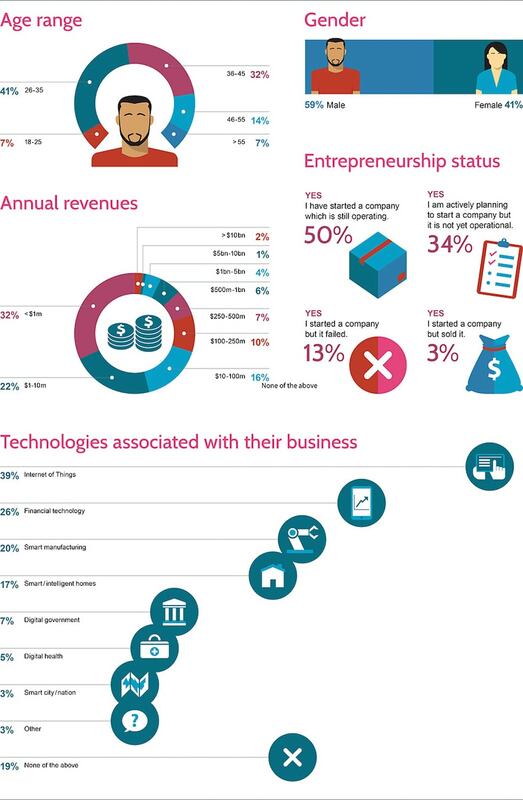 Singapore and San Francisco entrepreneurs are almost as active, with 34% and 32% of respondents respectively. Relationships have always been the key to business. Networking is just the science of doing relationship building in an efficient way. There isn’t an entrepreneur on the planet who isn’t a competent networker – its vital for gaining business leads, future customers, partners and employees. The survey also sheds light on how real-world interaction complements digital networking. In Tel Aviv, New York and London, for instance, meeting fellow entrepreneurs in informal physical settings is the single most important source of support, even ranking ahead of financial institutions. Although informal communities are not equally vibrant, with Seoul having the lowest engagement with global digital networks and the fewest young entrepreneurs among cities surveyed, the research nevertheless reveals that the greater the number of networking activities entrepreneurs engage in, the more likely that they will deem themselves stronger than their competitors. In Singapore, entrepreneurs currently place most importance on business associations and other formal structures but most (78%) entrepreneurs in the city believe this will change as Singapore continues to develop as a hub for entrepreneurs and more informal communities develop. Governments also play a role in enabling informal communities, according to the research, but any support should be at an arm’s length. Experts opined that governments should provide indirect funding of space and logistics, while allowing the ecosystems to grow organically.